The Set a Variable is a powerful block that allows you to create, establish a format and set a value to a variable. In case you want to create a new one, just type the name (no spaces are allowed) and click on create. In this case, as the label says, you can type the value that you are going to give it to the variable. 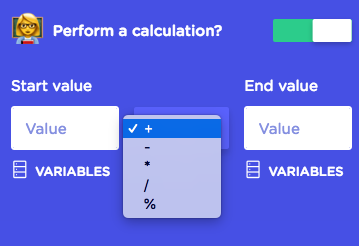 It is also possible that instead of typing down such value, it depend on other's variable value, so you can use it in here. 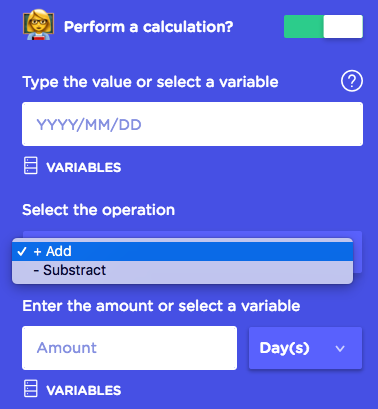 For day, based on a variable that is a date (with Landbot format) you can sum or subtract days or month or years to that specific date. 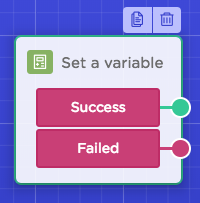 Why is there a "failed" option for a set variable block? If everything is correct, we will continue the flow with the Success. However if the user had used wrong inputs or formats and we are using the "Perform a calculation?" feature, it will generate an error, and the flow will continue through the Failed output. 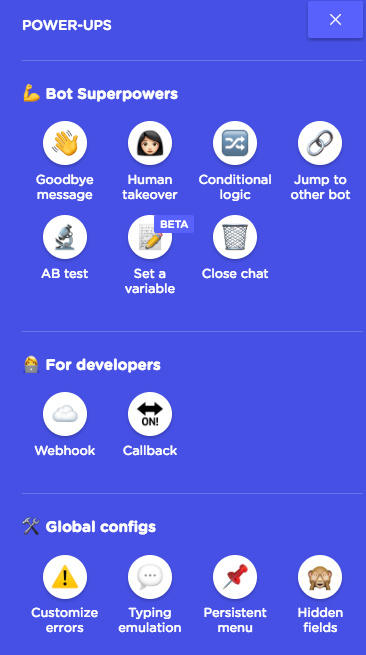 It is a good practice to use it, to avoid the bot to crash.